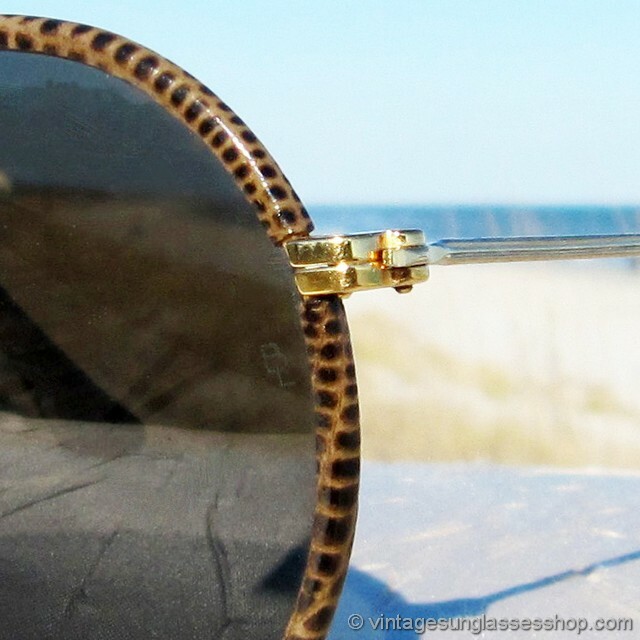 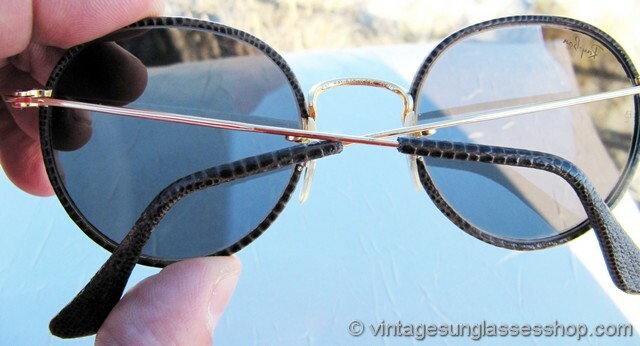 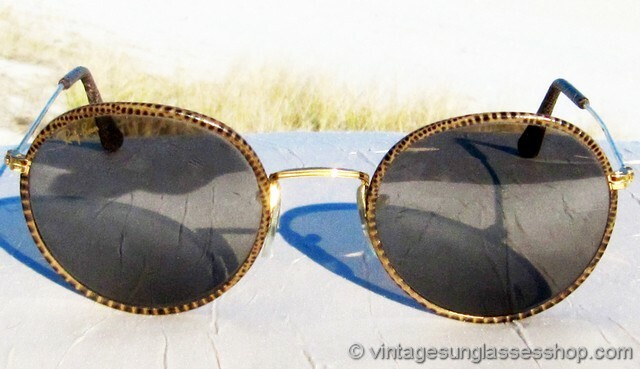 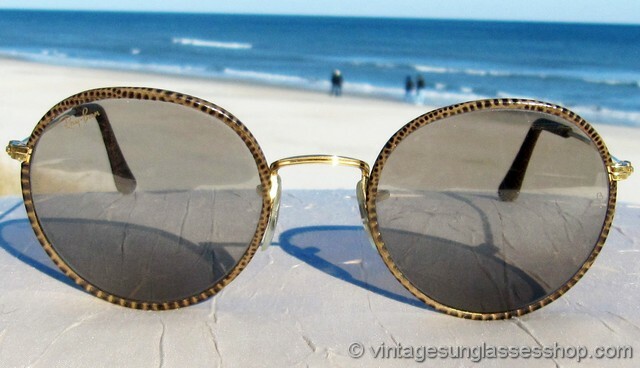 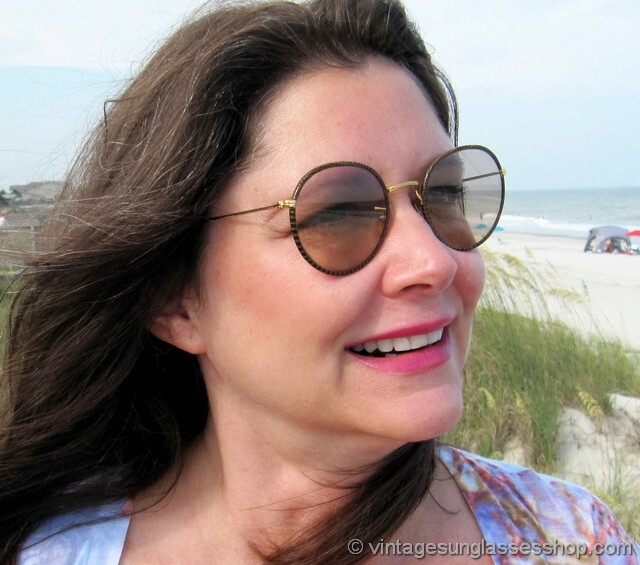 1 Vintage Ray-Ban Leathers Rounds sunglasses are always hard to find, but one of the rarest styles features the brown snakeskin covering the Arista gold plated frame along with Bausch & Lomb Changeables photochromatic lenses. 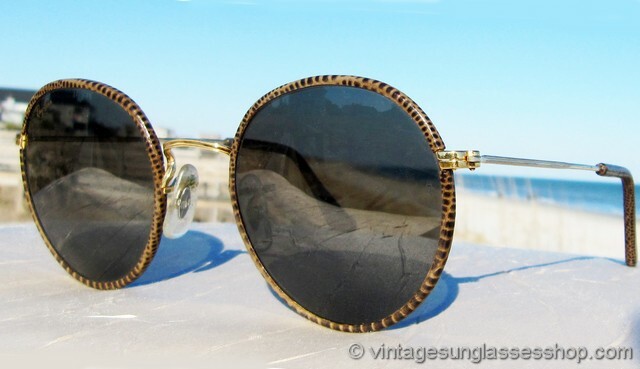 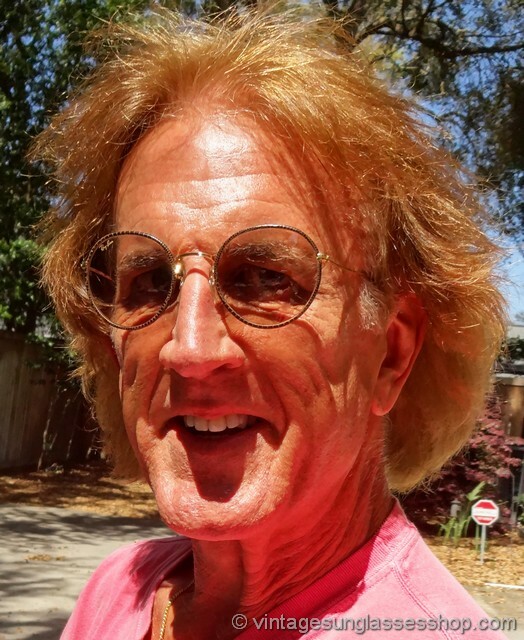 The leather wrapped frame looks great with the round B&L Changeables photochromatic lenses that will darken in bright sunlight and then lighten again when returning indoors. 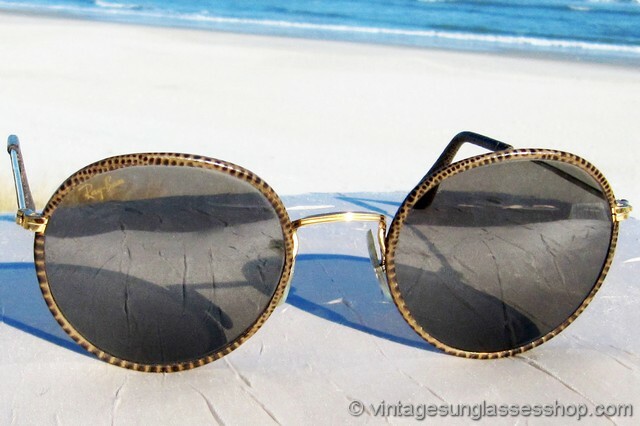 B&L photochromatic properties in their optical lenses were not a coating but rather infused into the glass chemically, so there is no coating that will wear out or wear off over time. 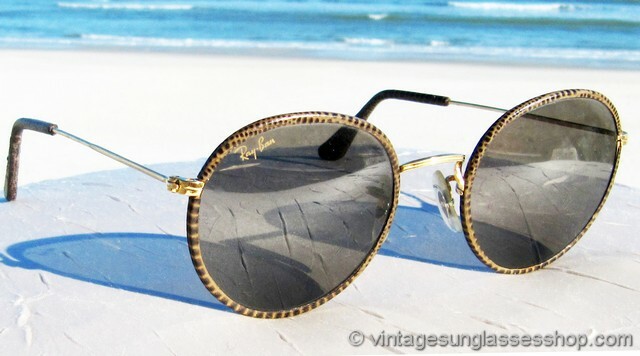 The unisex Ray-Ban Leathers Round frame measures approximately 5.0" temple to temple, and the Ray-Ban Changeables 49mm lenses measure approximately 1.875" in diameter with right lens laser etched Ray-Ban and both lenses laser etched BL near the hinges. 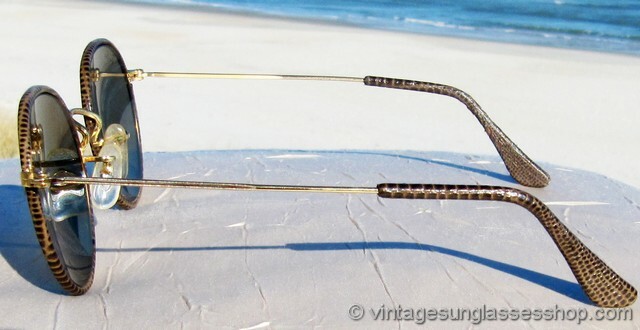 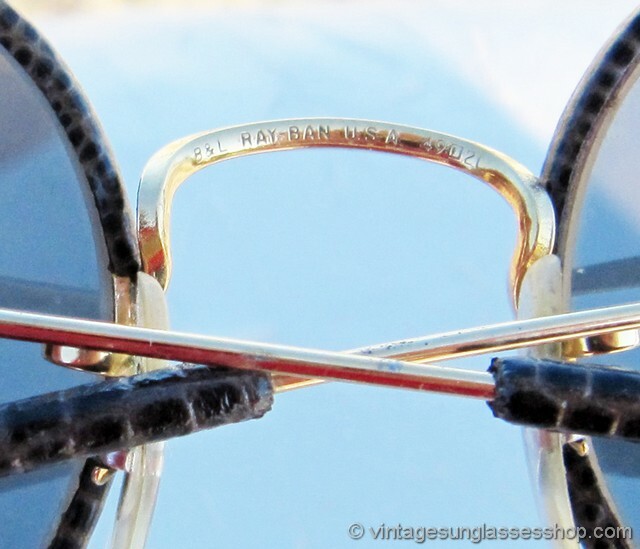 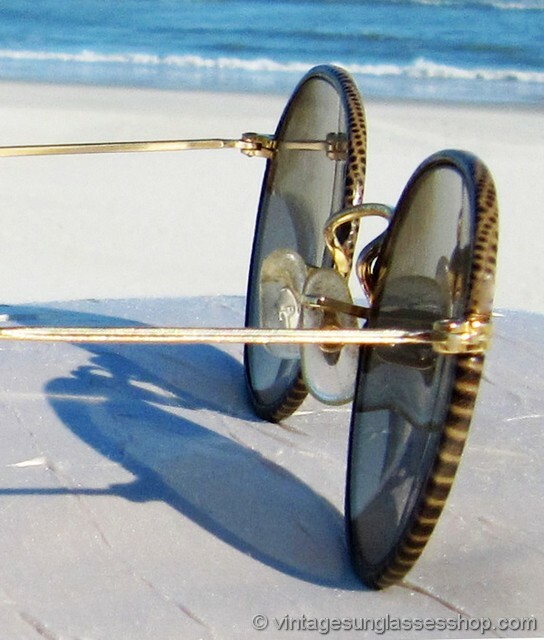 The rear of the nose bridge is impressed B&L Ray-Ban USA 49  21, part of the collection of a well known sports figure and long time customer of the Vintage Sunglasses Shop. 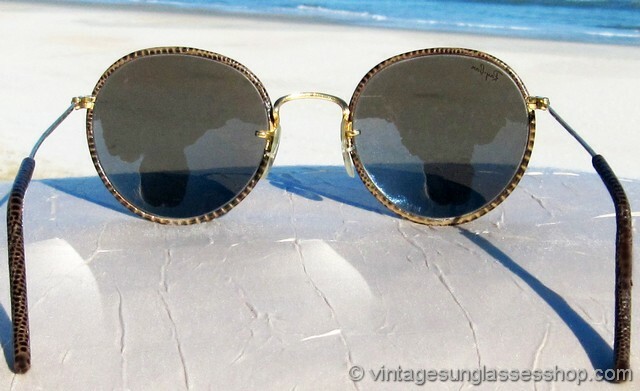 2 Step up another level beyond our already unequaled vintage condition standards with new old stock Ray-Ban Leathers Rounds Changeables sunglasses in mint, unworn condition.